New Jack City: New Jack City - One Year Anniversary Party! New Jack City - One Year Anniversary Party! * All your favorite late 80s/early 90s new jack hits and slow jamz! * The world's first Bell Biv Devoe Poison Cake! * And oh so much more! Thanks to all of you who have helped make NJC the greatest night of the month each and every month. And a special thanks to the fine folks at Langano Lounge for hosting us. Please spread the word and let's make this a night to remember. 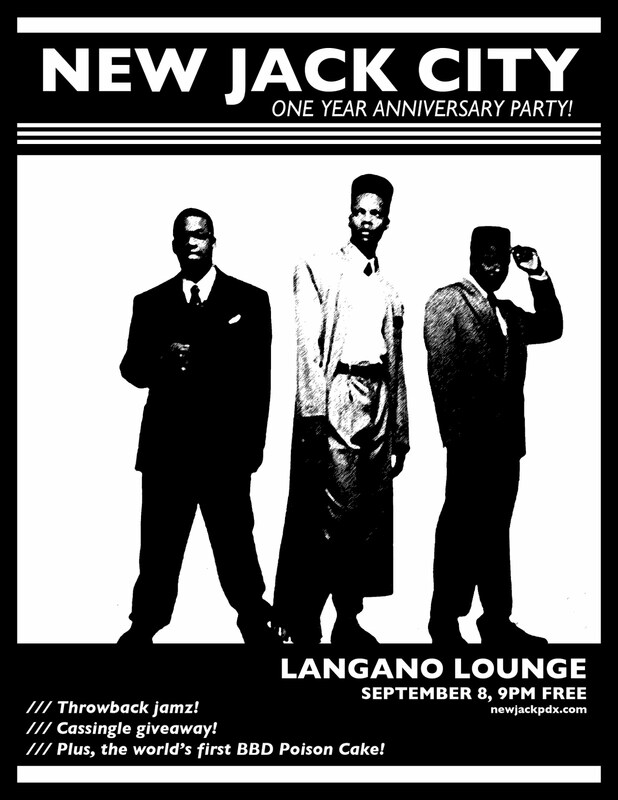 New Jack City - One Year Anniversay Party! hosting us. Please spread the word and let's make this a night to remember. Glad to know about this one year anniversary celebrations. I also attended an anniversary event at one of New York venues where saw everything arranged in a best possible way by event planners. I loved their work and quite impressed with their elegant ideas. From the tranquil streets of Portland Oregon comes New Jack City, a fresh-faced DJ crew specializing in New Jack Swing. This is the music we grew up on. It's time for us to celebrate it, together, at night.